Scary! I not dare to see this mirror! We don't know what is Kuntilanak...? Normally, Java's community only knew this legend of horror stories. I get to know that Kuntilanak version for Java in Indonesia. 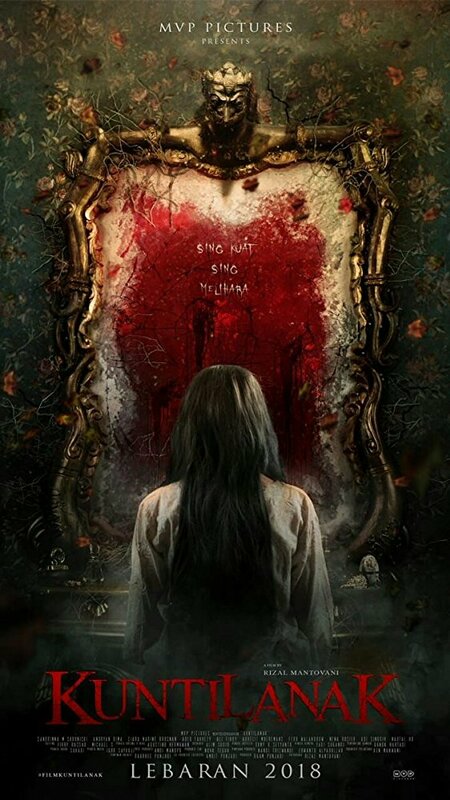 This movie explained about the Kuntilanak spirit always look for the children and want to kidnap them into Kuntilanak's hiding place, through an old fashioned mirror! Kuntilanak is a ugly lady who wear white dress...It is similar as Pontianak version Malay. But for Malay's version, Pontianak: a beautiful woman has a long hair and wear white dress only, that lure people and drink human's blood...well like a vampire. If me, I won't let a group kids visit an old house! They brave to enter this house....We really hope that the children keep be survive in this movie! I really like them because they are very cute! They have to escape from Kuntilanak. How? Sorry, I cannot give more spoilers to you, ya! Easy to know about the ending if I say this! I recommended that your family can watch this Kuntilanak movie during Hari Raya holidays, so it is not bad!